When you visit a licensed cannabis retailer, this is typically what your budtender will ask you. Budtenders not only connect you with products, they are also a great source of knowledge. They can help you gain a better understanding of cannabis and its effects so that you leave with products that give you the experience you’re looking for. Remember, budtenders understand that it can be intimidating the first time you visit a dispensary. But they are there to help you, not to judge you. And they will appreciate your honesty because it allows them to better provide you with a product that meets your needs. 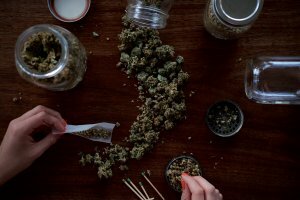 To help your budtender help you, let’s run through some basics about cannabis. What was once known as pot is now referred to as flower. Retailers offer a much wider variety of products today, and pot became too vague a term. When you purchase flower you are purchasing the cannabis bud. Flower is most commonly consumed by smoking it in a joint, pipe, or bong. You can also purchase ready-to-consume joints, called pre-rolls. The effects of smoking flower can be felt within 10 to 20 minutes, and typically last one to three hours. Also known as “vaping.” This is another inhalant consumption method, where consumers inhale a cannabis vapor or aerosol using a vape pen or vaporizer. These devices heat cannabis, either dry flower or cannabis extract, at a lower boiling point than a joint. Instead of producing smoke, vapes dispel water vapor. The effects can be felt within 15 minutes to half-an-hour, and last slightly longer than traditional smoking. 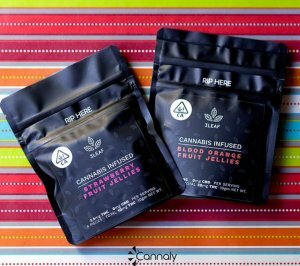 Edibles are consumed orally and are offered in a variety of products: baked goods, candies, chocolate, gummies or fruit jellies, and beverages. You can even find cannabis infused granola and popcorn now. Some manufacturers infuse their products with flower, but the majority of edibles are made with cannabis concentrate. The effects of an edible takes longer to feel because it is metabolized through the liver and then processed through the blood-brain barrier, rather than directly through the brain as with smoking. For this reason, edibles are considered more effective and they last longer – up to eight hours. Remember, it can take between 40 and 60 minutes for you to feel the cannabis effects from an edible. So, start low and go slow. Tinctures combine cannabis extract with a high-proof plant- or animal-based alcoholic extract. They are consumed sublingually – beneath the tongue. 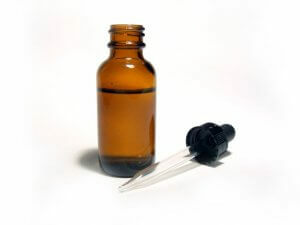 Some brands offer tinctures infused with ingestible essential oils. The effects of tinctures can be felt within 15 to 45 minutes, and they typically last longer than smoking but less than edibles. 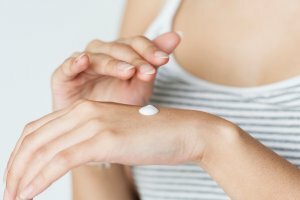 Lotions, balms, and oils infused with cannabis extract are a fairly new way to enjoy the medicinal benefits of cannabis. Topicals provide a non-psychoactive experience, and are effective in treating localized pain. The strength of their effects and how long they last varies between products. It’s helpful to have a basic understanding of cannabinoids because they play a large role in producing the medicinal and therapeutic effects of cannabis. When you meet your budtender, they will show you various products, most of which contain tetrahydrocannabinol (THC) and/or cannabidiol (CBD). These are the two most widely recognized cannabinoids. CBD, on the other hand, is non-intoxicating. It’s touted as a highly effective method for treating various complex ailments, such as epilepsy and arthritis. And many women are turning to CBD as an effective way to manage the symptoms of PMS. You can also find products that contain both THC and CBD. These are referred to as ratio products. When THC and CBD are consumed together they produce an entirely different cannabis experience. THC elevates the medicinal effects of CBD, and CBD balances the cerebral effects of THC. Knowing your reason for consuming cannabis will help your budtender recommend the optimal consumption method and dosage for you. You may partake in cannabis for medical reasons, i.e., to treat chronic pain, help you get a full night’s sleep, or manage symptoms of anxiety or depression. Or perhaps you’re interested in enjoying cannabis recreationally. Many are switching their after-work glass of wine for an edible because they have found that it is easier on their wallet and healthier for both their mind and body. As mentioned above, THC produces psychoactive effects which are commonly known as a high. It’s helpful to know how high you want to feel before speaking with your budtender, or whether you want to feel high at all. If you’d like to avoid a psychoactive cannabis experiences, choose a CBD product. There are also micro- and low-dose options that allow you to reap the medicinal benefits of cannabis while providing mildly uplifting and elevating effects. The more open and honest you are with your budtender about the effects you’re seeking, the more likely you’ll be to achieve them. Cannabis is certainly becoming more widely accepted as legalization propels it into mainstream culture. However, cannabis still has a few negative stigmas to overcome. Many still associate cannabis with the lazy stoner stereotype, despite the movers and shakers who defy that myth daily. If you’re interested in trying cannabis but are apprehensive because there may be some lingering stigma associated with it, edibles make a great choice. For one, you don’t have to worry about highly visible smoke fumes. And, you don’t have to worry about smelling like cannabis. 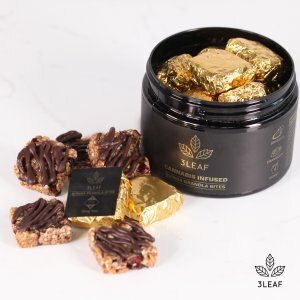 3Leaf edibles are infused with THC distillate, which is void of terpenes. The terpenes are what give cannabis its smell and taste. Without them our edibles simply smell and taste like regular food. 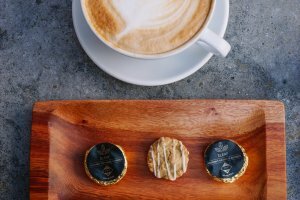 Each of our edibles are sealed in child-proof and tamper-proof packaging. It’s both easy and safe to take an entire jar or bag of 3Leaf with you to get you through a weekend with your parents, or to enjoy on a hike with friends. Because our edibles are individually wrapped, you can easily grab one or two before heading out the door to conquer your day.